It was time. 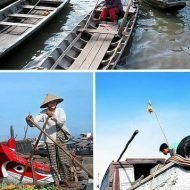 Since starting this Vietnamese inspired food blog as a couple three years ago, it was our dream to visit our quê hương, motherland, together. And we finally made that journey. We just spent the most amazing three weeks with our family half way around the world sharing family stories filled laughters, struggles and hope. And just like any good Vietnamese family get together, every story was told around an amazing meal. For Kim, it was her first time ever setting foot in Vietnam and for me my 4th time. 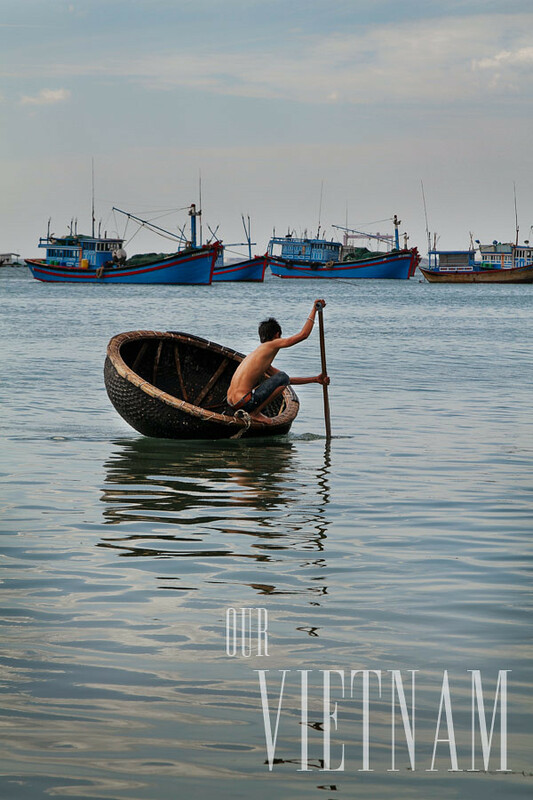 However, each time is always a new beginning as Vietnam is constantly changing. Kim was able to meet relatives that she’s never met before, who embraced her as if they’ve known her all their lives. Truly a joyous reunion. From our home base in Saigon, we visited the mountains of Da lat, the beaches of Nha Trang and Vung Tau and the wetlands of the Can Tho in the Mekong Delta. It’s a beautiful country with amazing contrasting geography but also marked contrasting social economic status as well. Although one of the worlds fastest developing economies in the last 20 years, the average GDP per capita is still only $1,342 ranking 145th in the world. 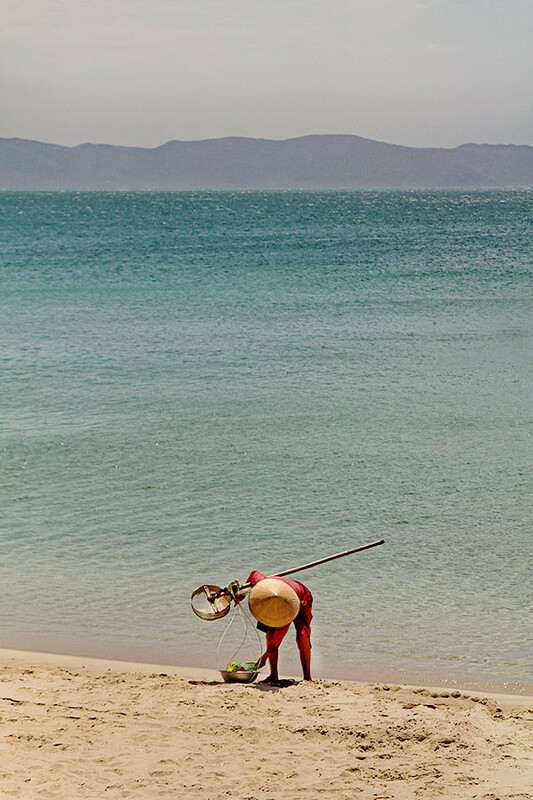 In Nha Trang we saw a grandmother trawling for seashells to sell and a boy in a thúng bamboo boat ferrying fishing supplies on the pristine beaches nearby a 5 star luxury resort. In Saigon, we saw crumbling tin roof houses in the shadows of modern skyscrapers. Over 10% of the population still fall under extreme poverty. We saw shiny BMW 7 series and Audi R8 nearby rusted rickety cyclos. Because of this, people there do what they need to do to eke out an existance. Unfortunately, that can manifest itself as petty scams and hassling of tourists. Even we had to be vigilant. 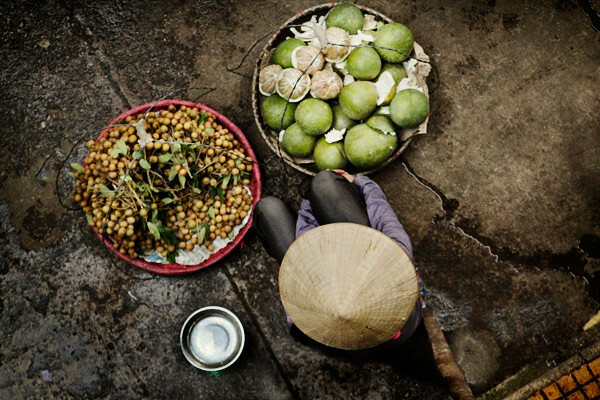 Yet despite the marked poverty, the Vietnamese people as a whole are remarkably hard working, resilient, and incredible resourceful. They are also generous with what little they have. One instance traveling with Kim’s 75 year old aunt in the rural countryside of Can Tho in the Mekong delta, her slipper broke before embarking on a long day of touring. Kim spotted some locals drinking morning coffee and asked if there were any shoe shops nearby. With our tour boat coming any minute, we didn’t have much time so the lady gave up her pair of relatively new flip flops to Kim’s aunt without asking for anything in return. But this isn’t a travel or political blog, what about the food?! Simply fantastic. 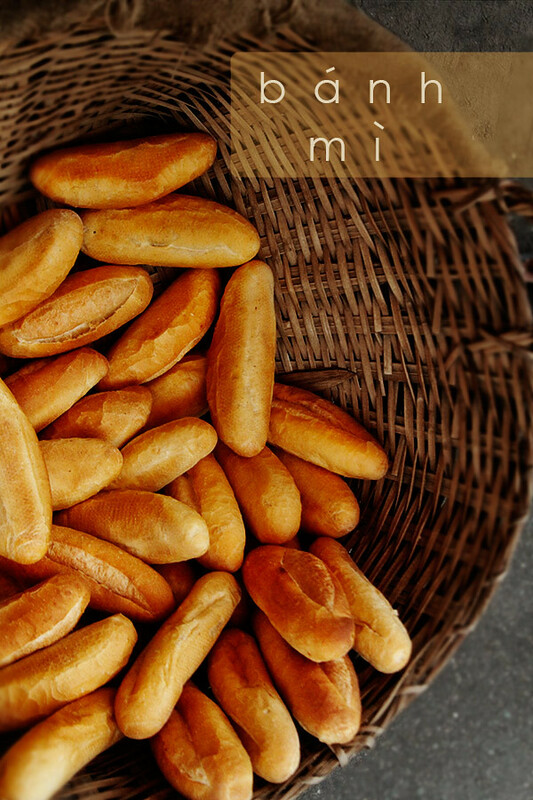 We visited small fish sauce producers as well as baguette shops making the most airy crackly không ruột (literally no filling, but in bread terms, an airy crumb) baguettes only those lucky enough to visit Vietnam can taste. We ate everything in sight and was literally in a state of perpetual food coma the entire time. Fresh picked durian, mangosteens, rambutans, jackfruit, and longans were sold at almost every street corner by fruit vendors that were happy more than happy to sell to us, Việt kiều who can’t find them back here in America. The most expensive fruits were durian and mangosteens at $1/lb. We would have gladly paid three times as much here. It’s always a great and different experience each and every time you visit the motherland. Can’t wait to read more about your adventures! Thanks so much for sharing!! 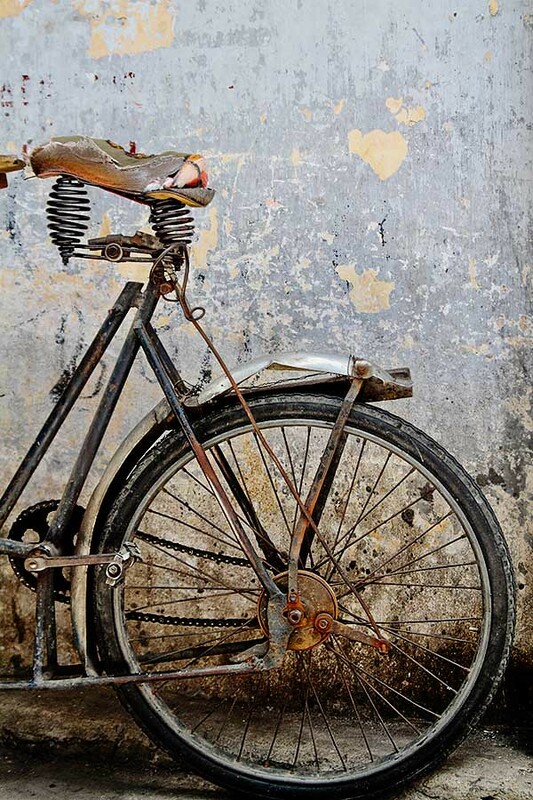 Fantastic photographs!! Welcome back and looking forward to seeing more! Welcome back! I can only imagine how powerful and delicious this journey was for you both. The images are amazing, and I can’t wait to see more! Wow. I can’t wait to read and see more of your trip to Vietnam. I’ll be taking the family next year so this will definitely help with our planning. Thanks so much for sharing. It’s always an amazing & wonderful experience to go back to VN to appreciate our roots and confirm our appreciation for what we have in the US. Being a product of the 2 worlds make us who we are today. We are planning a family trip to Vietnam later this year. For most of my husband’s family, it will be their first trip back to the motherland since they left over 30+ years ago. I’m looking forward to your hearing about your trip and the food! Can’t wait to hear all about your trip both here and in person! Welcome home! 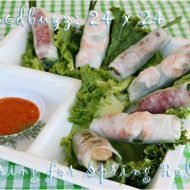 I came upon this blog a few weeks ago when looking up Vietnamese recipes. I love the recipes because it’s all dishes that I grew up with. I can’t wait to read about your trip. My family has yet to go to Vietnam as a family (my dad’s gone back a few times, but my mom, being Cambodian, has only visited Cambodia once since they came here), and while it’s still on the bucket list, I’m really excited to read about your experience and see beautiful pictures (yours are beautifully taken). Oh, I love this post! I am heading to Vietnam (where I’m from) with my family in a couple weeks, so this couldn’t have come at a more perfect time. Beautiful photos and stories — thank you for sharing! Can’t wait to hear more about your time there. Wonderful photos and account of your visit. Neither your words or pictures gloss over the poverty of the country, but you also capture the vibrancy of the people and their generosity. Thanks for sharing. Great shots! Love the ‘cooking dumplings’, great angle. New to the site but will check back often, thanks for sharing! Great story and pictures! Thanks for sharing! 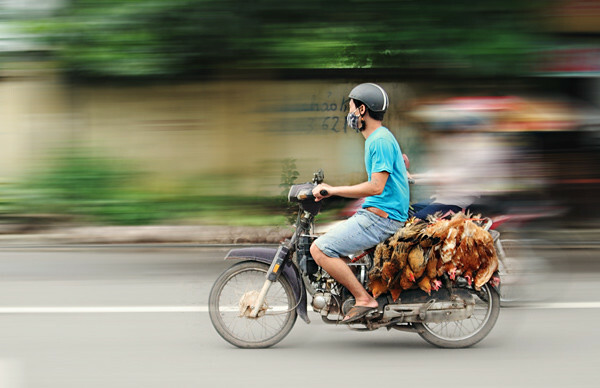 Beautiful pictures; I especially love the one of the boy in the bamboo boat, motobiker peddling chicken, fruit vendor, and the man holding a tray of perfectly shaped banh bao. Such stunning photos! Also really interesting hearing about Vietnam from the perspective of Vietnamese coming back. 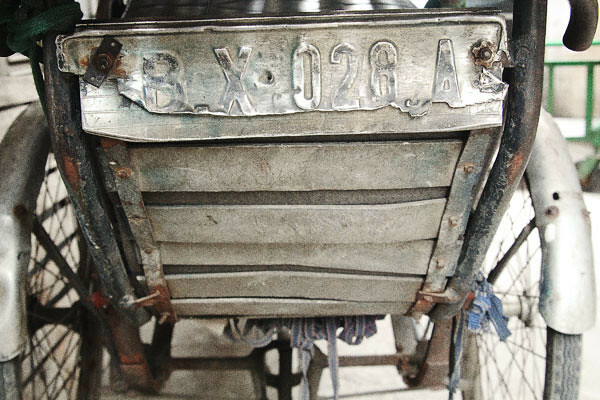 I live in Hanoi and love it! I look forward to seeing more about food experiences. I have been following your blog for quite some time. Gorgeous, gorgeous photos! Thanks for sharing. I will be traveling to VN for the first time after more than thirty some years in September. I assume it would be a total different country. Any helpful tips that you could share when I am there? BTW, what kind of camera did you use during this trip? Please upload more photos from this trip on your blog. I have been reading your blog for quite some time. I was also in Vietnam for 3 weeks in July. It was the first time I have been back since 2005. I can’t wait to see your pictures! Thanks a lot for sharing ! 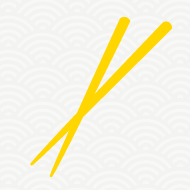 I love your pictures, your recipes, and love to visit your website. You are a fantastic couple ! Your pictures from Vietnam are really great . I’d love to have some posters to hang them in my office. I’m your biggest fan . Greetings from Switzerland. Beautifully photographed and told! I hope to be able to make my first visit there soon! I’m so excited you guys visited the motherland! My absolute favorite part (besides visiting family in Saigon of course) was going to Hoi An- it’s breathtaking. I made friends with a lady with the best banh mi sandwiches I’ve ever had, and visited her everyday for breakfast; it was heart-breaking to say goodbye to her. You also can’t beat the banh beo over in hue. 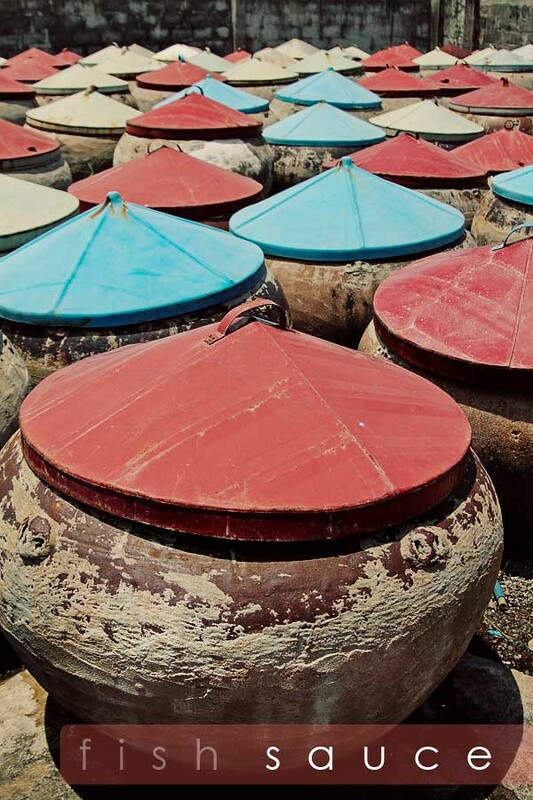 I love Vietnam – its people, country and food! Beautiful images, reflections and food. I am grateful for your ‘cooking life together’. I just came back from my first trip ever in vietnam. It was beautiful and the food was amazing. The thing that i love the most in vietnam is the street food. From the pho,banh mi, all the kind of che to the xoi i had a hard time choosing what i want to eat. Now back at home, i want people to know more about vietnamese food and that why i just start by blog about vietnamese cooking. By the way, your pictures are beautiful. couldn’t agree more. congrats on the blog! May I share your fun and happiness. 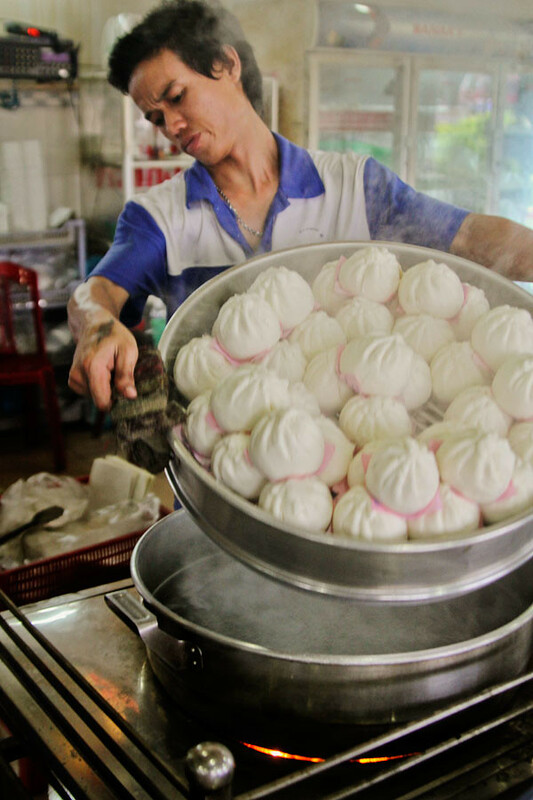 The foods in Vietnam are true wonders. HCM City is changing fast and many local specialties are sold in expensive restaurants but I and many people still prefer eating them on the streets. Vietnam is amazing. I was the first born in the US but I love the feeling I get when I visit Vietnam. I have Viet friends that have no interest in going… wha?!? Craziness, I tell ya. I even brought my white boyf a few years ago and he totally survived…thank god. Love you’re intro to what seems will be many posts about your trip to Vietnam. Insightful and informative. Thanks for a great read. Beautiful!! I found your website looking for recipes for Vietnamese food for my kids. I went to VN in October of 2010, and was in all of the same areas you were. We ate in several homes. The soul of the people in the food they present is amazing. It is a place that captures one’s imagination and holds on to it. I went with my father, a veteran, who took me to Cu Chi where he fought. He loves the people and the country. Thank you for sharing. A possible return in March…. Beautiful pictures and lovely story! Thank you! Thank you so much for sharing. I love every single line, photo … in your blog. You have made me proud of our food and culture. I’m glad you two got to experience your Vietnam. I went back often as a child, but never really appreciated everything that Vietnam had to offer, which is probably why I avoided going back for 15 years. I’ve gone back 2x in the last 4 years, and I absolutely want to go back for more. Every visit, I learn or experience something new, and I get to enjoy the wonderful home-cooked meals by my family there. Can’t wait to hear more stories of your visit! Hello Ravenous Couple! I just wanted to stop by and say that I love, love your blog – your recipes have NEVER failed me! Even my mom asks me, “How’d you go about making Cha Ca Thang Long? Or, Bo Kho? Who taught you?” =P the power of the Vietnamese community on the internet, Mom! Anyway, your sharing makes me feel like a proud fellow Viet-American =) love from the Bay Area! I actually got teary-eyed going through your “Our Vietnam” post. awesome feedback, thanks for continuing to support our blog! If everything goes well this November i can go there again. Very much looking forward to it. I have been stopping by your website every once in a while and came upon your blog trip to Vietnam. Its with a heavy heart to say I have to make this trip without my parents, they passed recently, but I know they’ll be with me. I’ll be able to visit the place they call home, be able to see all the places they’ve told me about, meet relatives I’ve never met before and spoil nieces and nephews I’ve never spoken to. I just wanted to say, thanks. hi linda, your family there will take great care of you and will treat you like they’ve known you all your life! keep an open mind and you’ll have a great time, thanks for visiting! Wow! So amazing! I have been dreaming of meeting my mother’s family for over 10 years. I plan on going to Vietnam this coming summer and will be meeting my grandmother, aunts, uncles, cousins for the first time! I can’t wait! Thank you for sharing your awesome photos with us! I just came back from Vietnam last week and it was amazing!! The people, food, and country was wonderful and I’m so looking forward to going back in a few months!! I have just come back from Vietnam, Hanoi down to Saigon, and i loved every minute of the trip. I cant wait till im back there again. VERY COOL. i must admit my eyes watered. the sentiment alone is overwhelming when families can enjoy food and company like so. I have to say with looking through your posts and seeing all the pics of food, vendors and the beach and oh, how can I forget all the mopeds, it makes me miss my grandparents dearly. I hope I get a chance to go back to Vietnam soon. I don’t fit in like most since I was born in the US but I love it there! Thanks for bringing the memories back to me!